Daniel Kehoe (of RailsApps fame) has updated his popular walkthrough to the latest versions of Ruby, Rails, and OS X. If you like variety, Dean Perry has a shorter alternative that takes a different route. did_you_mean implements a rather typically Ruby-flavored quirky idea and suggests what methods you meant to call when you make typos in your code. Pete Keen, author of Mastering Modern Payments: Using Stripe with Rails, is back with a complete solution for accepting Stripe payments within a Rails app. 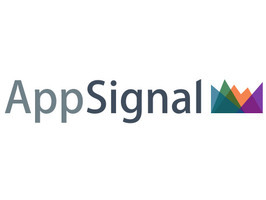 AppSignal. Just great app monitoring. At AppSignal we believe you can't make up for per-host pricing and clunky interfaces by giving away t-shirts and helicopters. Instead, we focus on the features you actually need, without a sales person ever calling you. Add pricing that works, even for 50 apps on 200 hosts. Why not give it a try for free? LevelDB is a fast key-value storage library from Google. Postgres allows you to store arrays natively on a database table, a potentially powerful and convenient feature. But how do you work with them using Rails and ActiveRecord? Not due for public release until late November, Raptor bills itself as a new Ruby webapp server and claims to blow everything else out of the water performance-wise (by between 2-4x). Fabio Akita has shared some benchmark results from a private build. I’ve been sent a review copy of this and at first glance it’s pretty good. It’s 200 pages and oriented around 48 specific tricks or approaches to deploy in Ruby. Full review to come later.